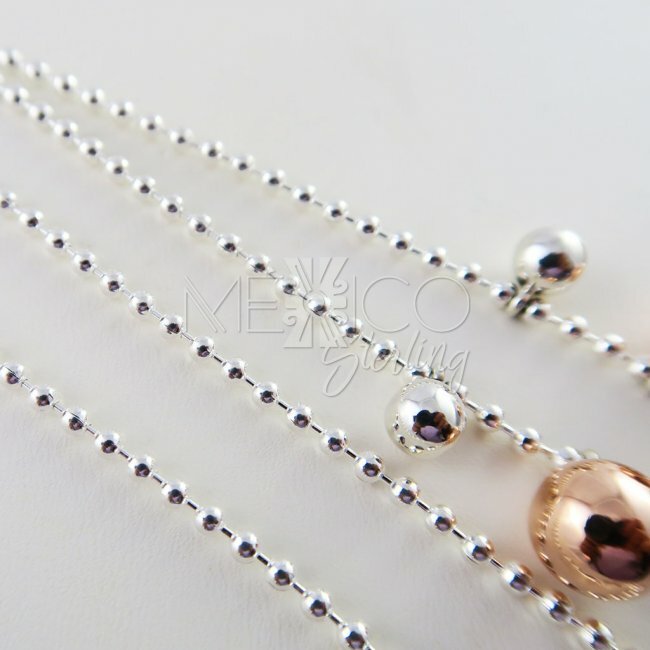 Sterling Silver Playful Planets Necklace Chain - $62.00 : Mexico Sterling Silver Jewelry, Proundly from Mexico to the world. 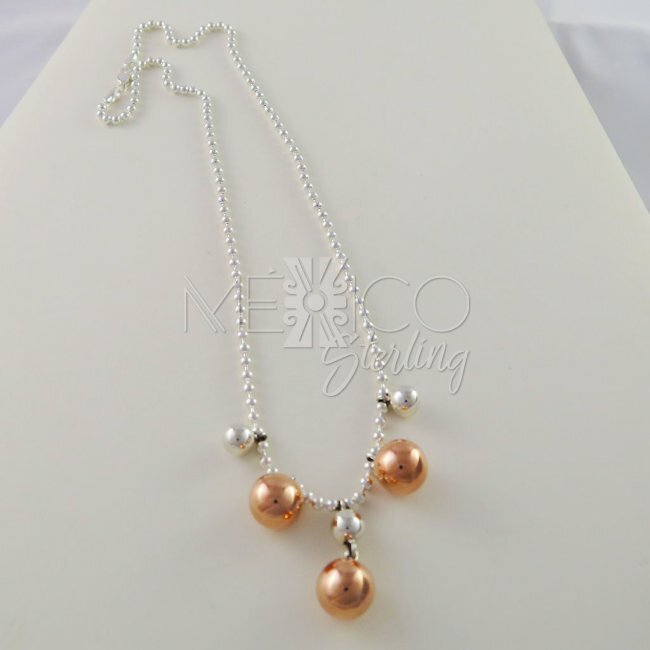 Lovely sterling silver and copper piece of jewelry. 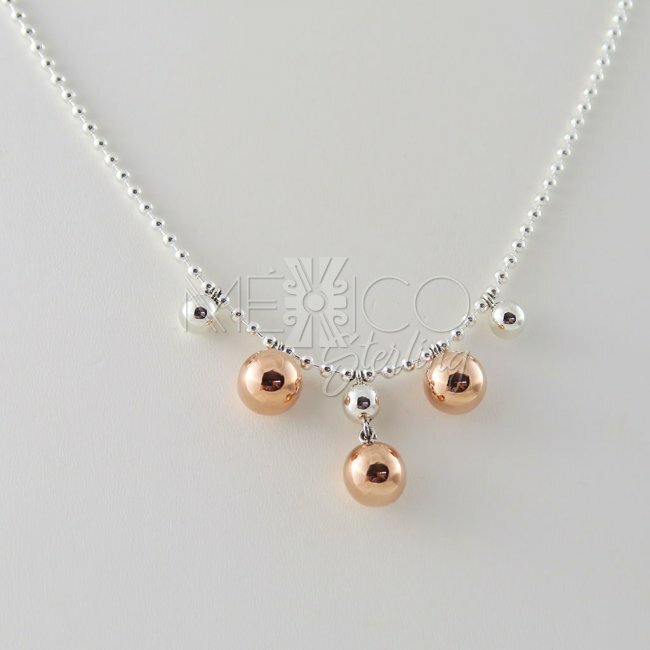 This is a delicate necklace-chain, decorated with a very simple pattern that carries, different size spheres. 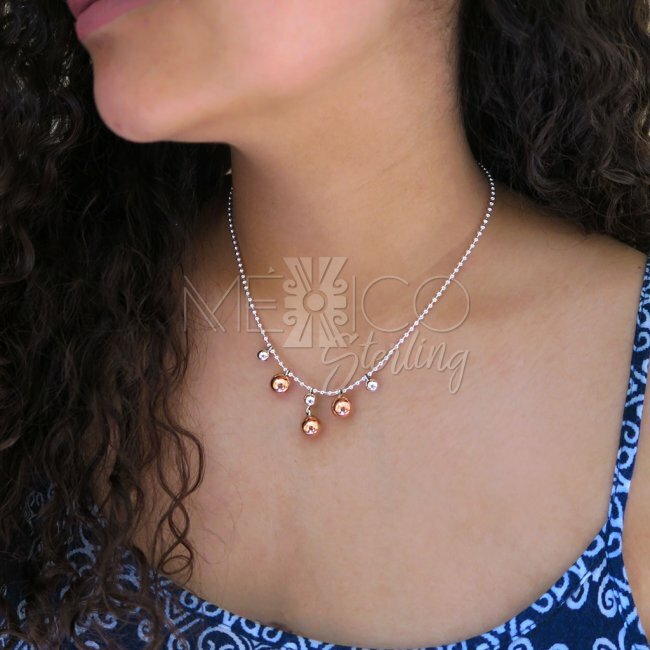 The bigger spheres are copper, giving the chain a more modern and unique look. It is substantial in weight for its size and built with a sturdy built. Please take a look at the extra photos for more details on this item.